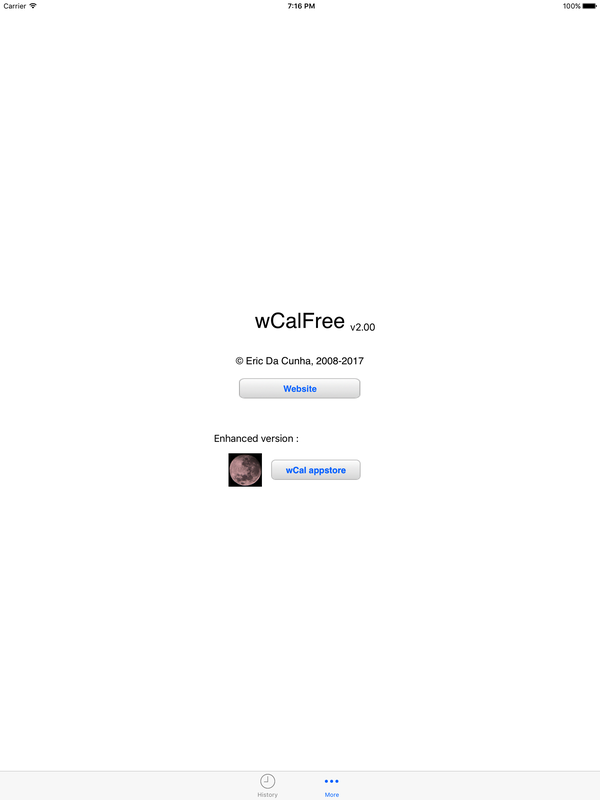 wCalFree is a special calendar for tracking period days. In order to help for medical records, prevent unexpected surprises and plan for future events with all the knowledge. It's a camp assistant for Miss, Mrs or Mr.
An improved version (wCal) is available. 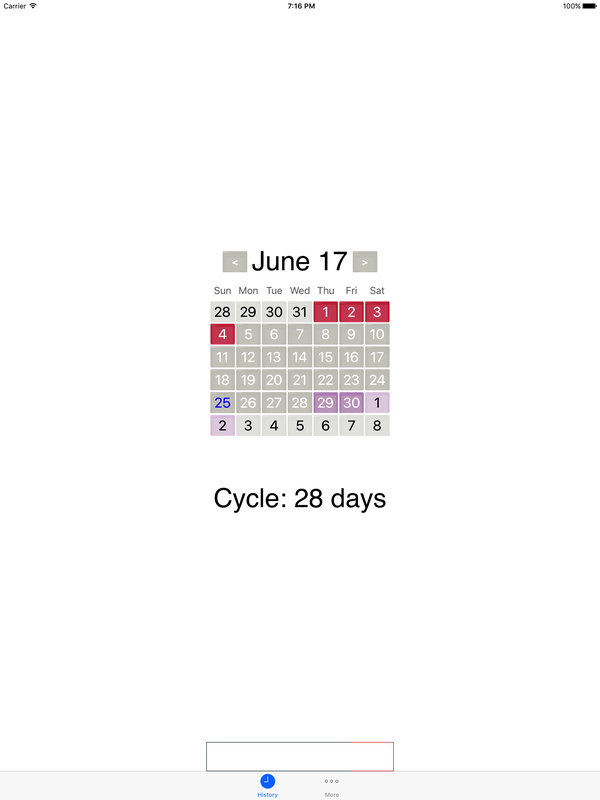 All operations are done on a month view. On the opening, the current month is displayed. Right and left arrows navigate to next or previous month. Tap on a date: to mark it in red or deselect it. Future occurrences will be displayed in purple. The cycle lenght automatically refines with the complete history. 2.00 64b version for iOS11. - Display all future period days. - External ad are less indiscrete. 1.41 Universal app, iPad compatible. - Major bugfix for 1.40. - This version MUST be upgraded. 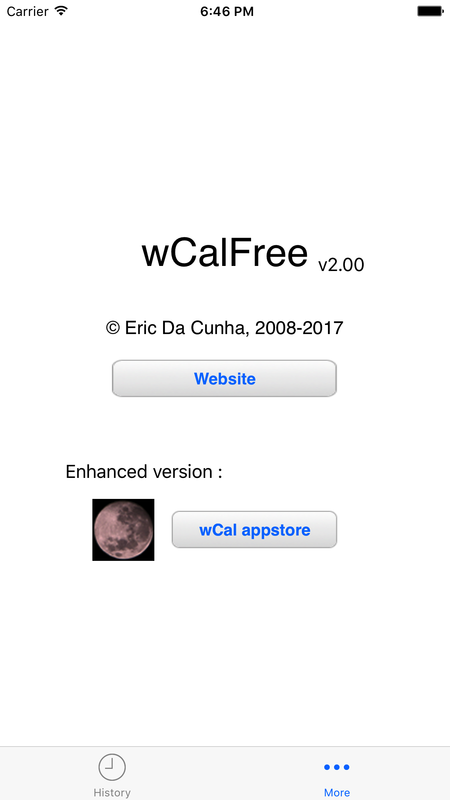 1.30 Retina graphics, fix for wCal link. 1.11 Bugfix for last month display. 1.10 Current day is displayed in blue. 1.03 Spanish translation, ¡ Por fin ! 1.02 French translation, enfin ! 1.01 bugfix calendar display for non europeans. 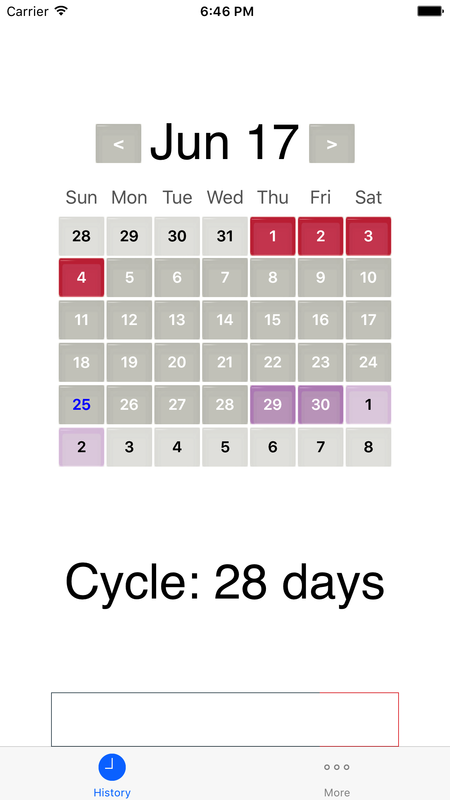 Keywords : Menstrual calendar, period calendar, cycles, menses.